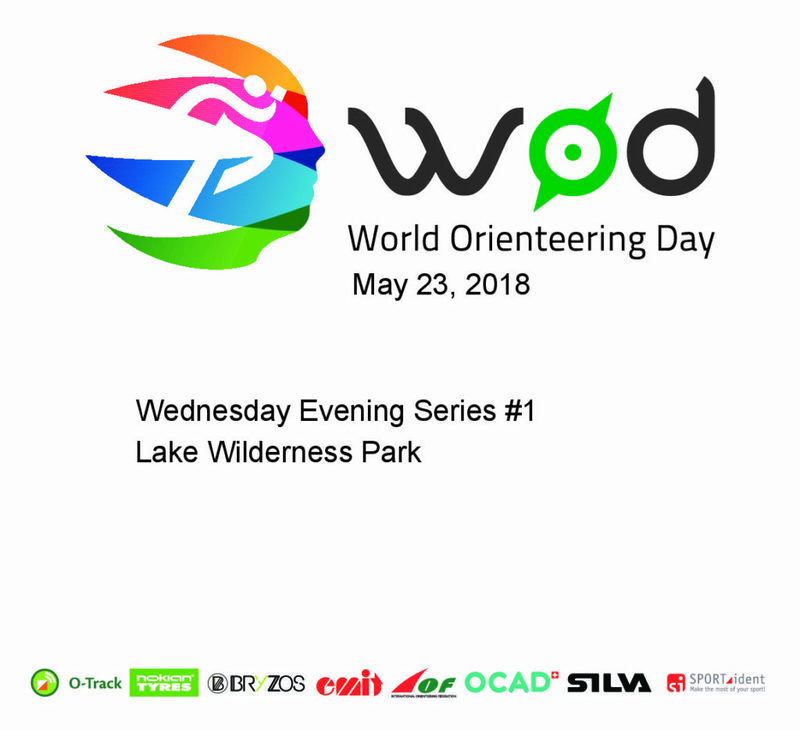 Help us celebrate World Orienteering Day on Wednesday, May 23, at Lake Wilderness Park in Maple Valley! This will be the first event in this year’s Wednesday Evening Series. Preregistration and volunteer spots are open now; see the event page for further information. 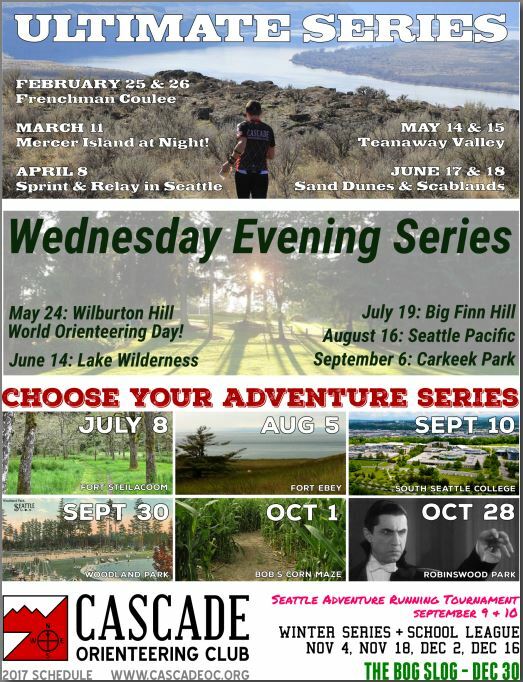 The time grows near for Cascade’s 2018 Wednesday Evening Series to begin! This year we have a record six (!) 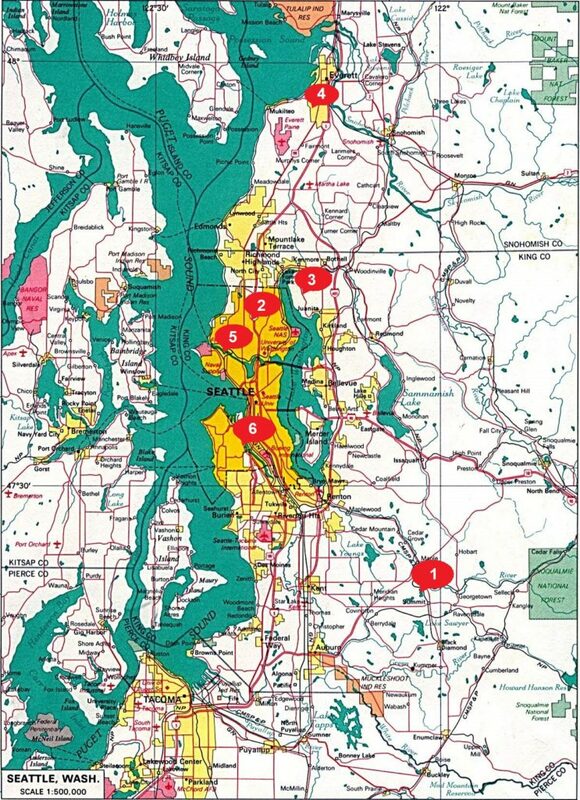 events on the schedule, all taking place in and around the Seattle area: May 23 – Lake Wilderness Park; June 6 – North Seattle College; June 27 – Big Finn Hill Park; July 18 – Forest Park; Aug. 15 – Seattle Pacific University; Sept. 5 – South Seattle College. See the event calendar for more information.